So a couple of years ago I saw MGK online and felt like he had something to offer. He is passionate, full of energy, and already had his city of Cleveland in Love with him. He eventually signed with Puff and Bad Boy which is a questionable move. He coupled that with a bunch of reckless behavior including recently having a performance at the Microsoft Store in Atlanta shut down in it's midst for wilding too much. However, this is the just type of thing that Kelly thrives upon. He is the closest thing right now to an old school rock star in hip-hop right now. Channeling that energy into an album could be a challenge, but he tries with this new release, Lace Up, based upon the movement he has created for himself already. Speaking of rock, the album starts off with "Save Me" which features M Shadows and Synyster Gates in a guitar backed straight up introduction to the album which would really let you know who MGK is as he talks about why he is in the rap game to begin with. He then follows up with features from Bun B and Dubo on "What I Do" with a hook that is guaranteed to get the crowds at shows rowdy. Somewhat surprisingly. "Wild Boy" with Wacka Flocka is also on the album though it has been out for a long time now. 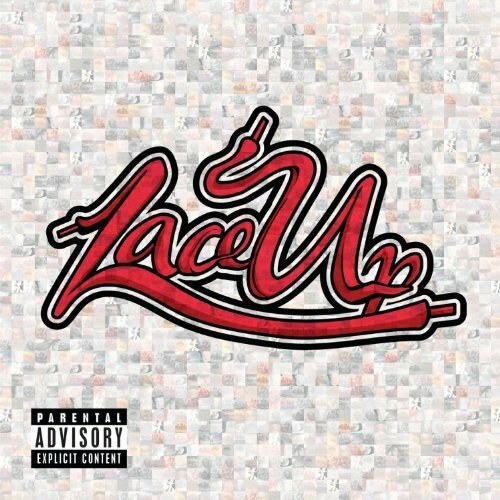 This is followed by the title track, "Lace Up" where MGK digs up Lil' Jon for an appearance. The song has the same energy you would expect and bangs for real. "Stereo" with Fitts of the Kickdrums is a song I expected to have been turned into a video with decent airplay by now. This is about MGK dictating the love between a girl and her radio(MGK) until the end when while on the shelf, the girl's sister finds the radio and the cycle begins anew. Meanwhile "All We Have" with Anna Yanick is a song about forgiveness and moving forward past mistakes. "See My Tears" has MGK continuing the introspective part of the album with a more detailed story about his life's struggles. DMX appears on the album on "D3mons" which is more of a generic song about negativity and 'bad' things while trying to be slightly jarring. X's verses are ok but it isn't anything great overall. On the other hand, "Edge of Destruction" with Tech-9yne and Twista is a good collaboration between three midwest artists with similar styles and probably similar fan bases as the bulk of the country isn't hugely supportive of them. "Runnin" with Planet VI on the hook has Kells talking about how he keeps moving forward to chase success. The big single "Invincible" with Ester Dean follows in this inspirational segment of the album. "On my Way" is a good song about where MGK is now and he has a short couple of stories he tells over the track just reminiscing about his life and how far he has come. The album ends with "End Of The Road" with Blackbear singing on it and summing up everything in a neat little package. that even had my wife two stepping in the living room. MGK is really a wild boy and hopefully he can learn to grow with his fame and not be so crazy all of the time. This album is a very solid debut and is a shining example of why so many people are huge fans of his. See, there are many ways to connect with people, lyrics, imagery, delivery, and the best just have something that comes out through the speakers and MGK has that. You can't help but believe every word and know that they are authentic.